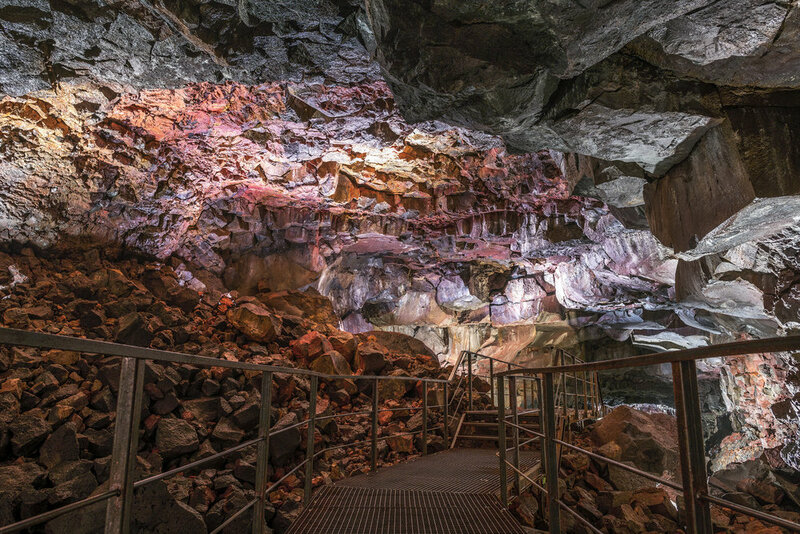 Raufarhólshellir is a 1.3km long cave formed by lava flow 5,600 years ago. 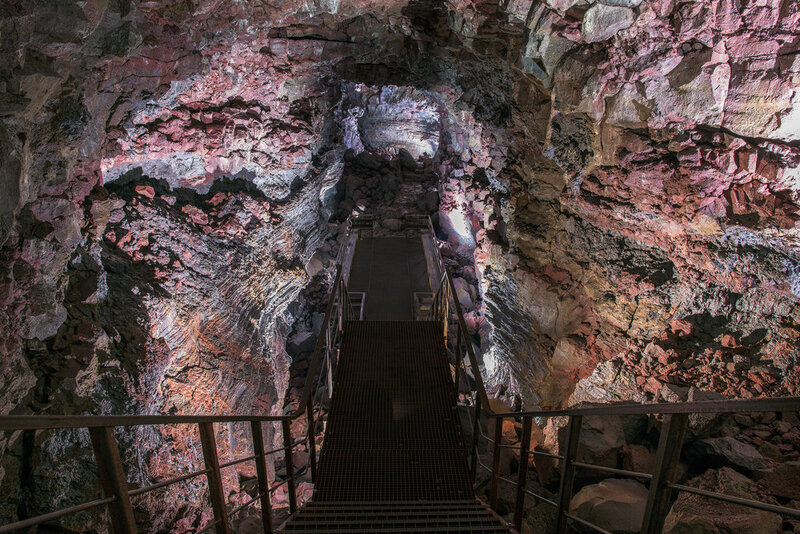 Before the installation of a walking path and lighting system, the cave suffered from the accumulation of waste and damage left by visitors. A path was created to enable visitors to walk safely through the cave, and to protect its natural shape and form from harm. The lighting system installed along the path plays an important role, aiming to enhance the atmosphere and give the visitors a memorable experience. The objective was to produce a strong interaction between shadow, light and the colour of natural surfaces. 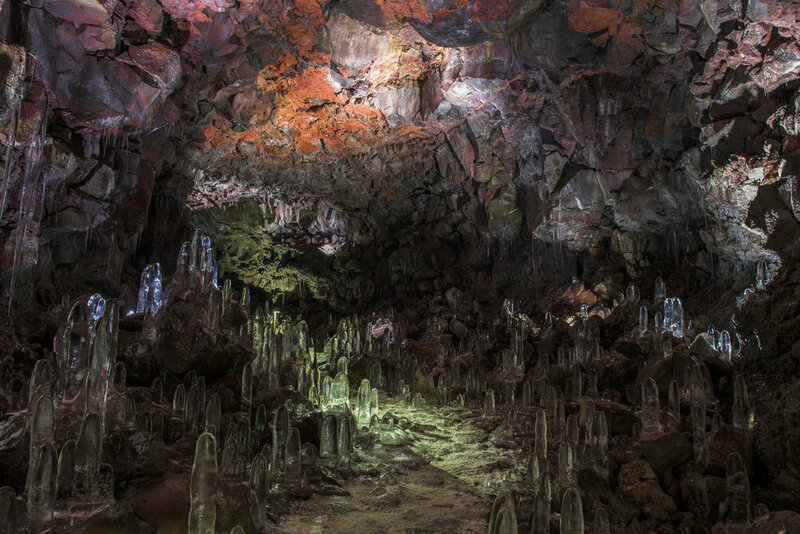 The focusing of the lighting was designed to illuminate the geological highlights of the cave, while seeming to be a part of the cave itself. 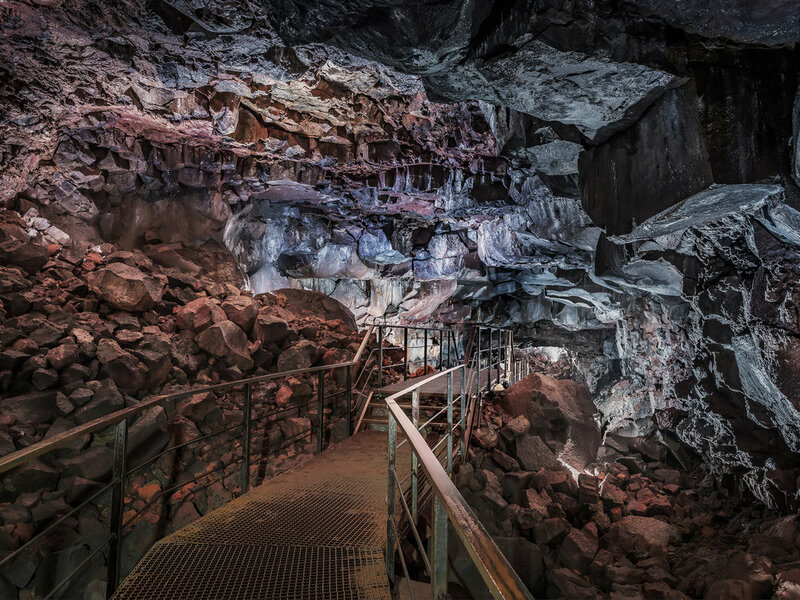 Subtle contrasts between the pathways and surroundings were introduced to sensitively guide the visitors through the cave.